Ink and Toner cartridges for DELL Printers. 30211 Dell Color Laser Printers http://www.inkjetsuperstore.com/ink-cartridges/Dell-Color-Laser-Printers Dell Color Laser Printer These reliable printers produce high volumes of durable, low-cost, professional-quality color documents. Great deals on printer accessories for the 11 different Dell Laser Color Printers, we have remanufactured Dell Toner cartridges as well as OEM cartridges. Dell Color Laser Printers30211 5096 Dell Inkjet Printers http://www.inkjetsuperstore.com/ink-cartridges/Dell-Inkjet-Printers Dell Inkjet Printer Series Inkjet Cartridges Versatile, powerful DellTM inkjet printers create beautiful color photos and documents at an economical price. 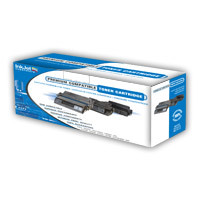 Great deals on printer accessories for the 19 different Dell Inkjet Printers, we have remanufactured Dell Inkjet cartridges as well as OEM cartridges. 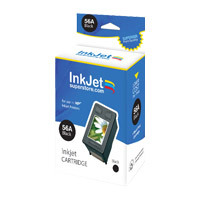 Dell Inkjet Printers5096 3018 Dell Laser Printers http://www.inkjetsuperstore.com/ink-cartridges/Dell-Laser-Printers Dell Laser Printer Series Toner Cartridges These fast, reliable and economical printers print thousands of professional-quality pages per month with a low cost per page. Great deals on printer accessories for the 19 different Dell Laser Printers, we have remanufactured Dell Toner cartridges as well as OEM cartridges.